Well, I’ve never heard anyone say, “I’m a laser kind of guy,” but with this Tact Laser, it’s something that’s worth checking out. Not many people consider a laser when it comes to defense, but they are used by the military very effectively. 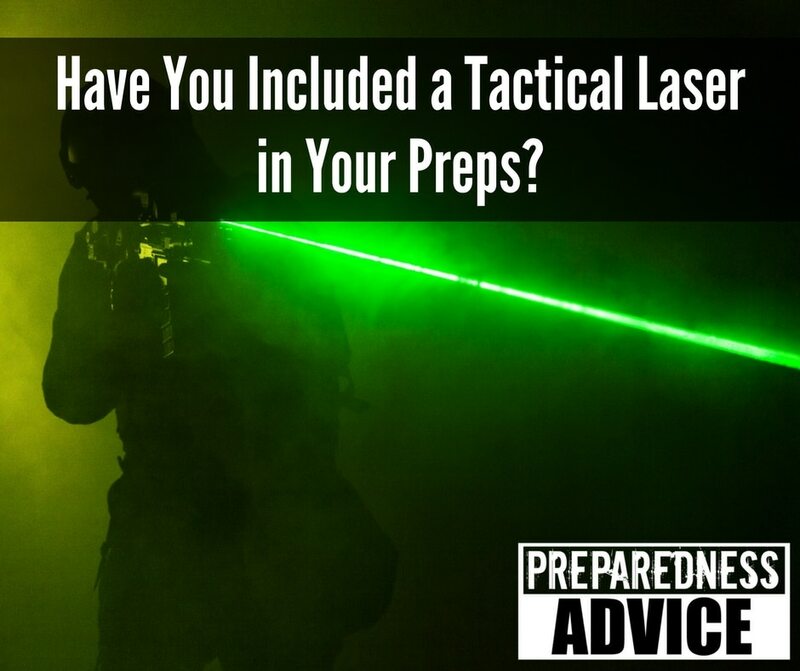 In most cases a military-grade tactical laser isn’t something you can easily find on the marketplace. In fact the Tact Laser is in very limited supply because of changing regulations. By the time your read this, it may already be sold out. Just as a firearm, knife, walking stick, slingshot, and heck, a flame-thrower, for that matter, are all most effective in trained hands, so is the Tact Laser. The good news for those of us with limited time to master yet another self-defense skill, is that this laser is about the size of a smaller flashlight, just a little over 6 inches long, and is as easy to use as flipping the switch and pointing. In a woman’s purse or backpack, it would pack an effective and powerful punch against an attacker. Because the Tact Laser uses a particularly powerful beam, bright enough to light up a dark room and certainly bright enough to overpower an attacker, it’s easily effective without a lot of training and without the expense of additional ammo. It’s powered by a rechargeable battery, so you don’t even have that cost to cover. It’s not a toy, though, and therein lies my one caveat. Kids are used to seeing lasers and bright lights sweep over the skies of Disneyland — nope. This isn’t that type of laser. This is the type of laser that can cause blindness, which is why it comes with a key-lock. And, since it looks like an ordinary flashlight, a lot of inquisitive kids would probably leave it alone. Currently, Survival Frog is including safety goggles with the purchase of each Tact Laser, just as a precaution. As I’m writing this, the biggest gift-giving season of the year is drawing closer and closer. I’m not a genius when it comes to buying the perfect present for anyone, ask my wife!, but the Tact Laser is unique and intriguing. It would be really hard to go wrong with this choice. More on If You Can’t Own a Firearm, What do You Keep by Your Bed for Protection at Night? This entry was posted in firearms, self defense and tagged defense, security, weapons. Bookmark the permalink.